A Minnetonka, MN company, US Internet is now able to provide a new seriously fast internet service that beats out the speed of Google Fiber 10 times over. In a small Southwestern portion of the city of Minneapolis, the company has installed fiber optic lines. The rate of this new internet speed will be 10,000 Megabits or 10 Gigabits per second. An internet speed of 10 Gb per second would result in a user being able to download their favorite full length movie in literally less than one second. As of right now, the 10 GB internet service is only available to about 30,000 Minneapolis residents. The price of the lightning fast 10 Gb internet speed rate will cost its users about $400 per month, US Internet also provides a 1 Gb internet speed rate option (which is the same rate of speed for Google Fiber’s high speed service) at the price of $65 per month. Many individual internet surfers will not have an effective way to utilize internet speeds of the caliber. However, the US Internet company claims that its service that has the excessively high rate of internet speed is actually more targeted towards their customers who happen to have home offices or who are currently running small businesses. 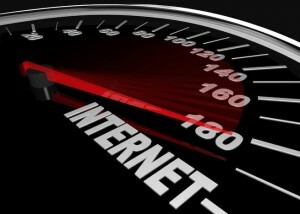 The average internet speed in the United States is around 30 Mb per second,and ranks about 40th in the entire world. US Internet’s 10 Gb per second internet speed rate is nearly the fastest in the entire world. US Internet has been providing Minneapolis residents internet service for the past 6 years. The company has plans to expand its fiber optic line installations within the next 5 to 6 years.